Did anybody else have 1 Corinthians 14:8 pop into their head about six measures into this? On a side note, I’d bet a shiny nickle that the substitution of “God” for “He” in the title is an intentional effort to be anti-CCM. And really, with all those drums and guitars and sliding tones it’s actually pretty likely that Satan is in the mix somewhere. 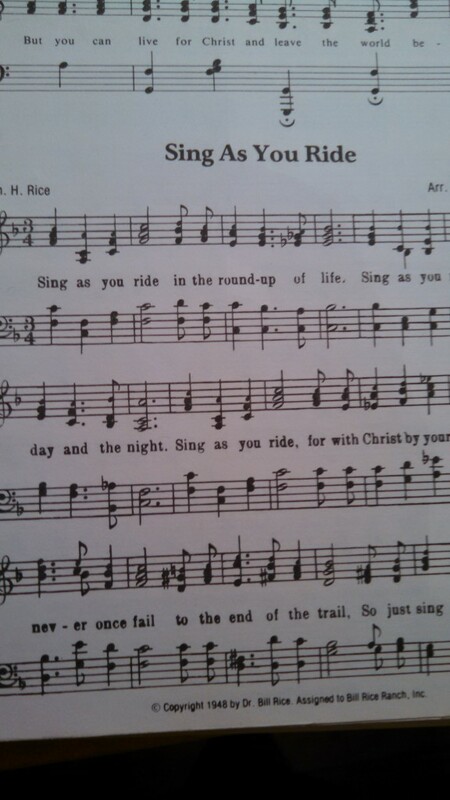 This is quite possibly the best hymn ever written. No, seriously. You just have to marvel that somebody took the time to not only do this but to do it in four part harmony being sure to stop before the last word for a “striking effect.” It certainly struck me. Those who have spent time at the Bill Rice Ranch will likely remember this one. Unfortunately, an audio version seems to be almost nonexistent on the Internet. 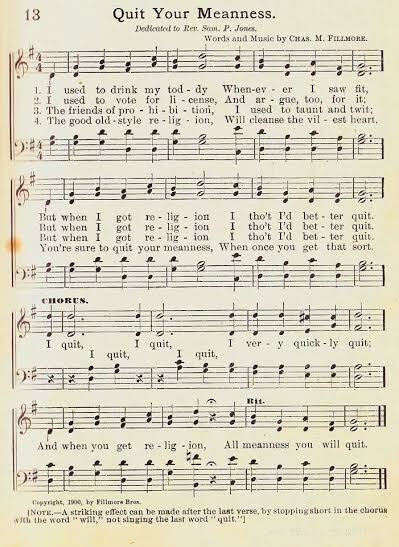 It may just be me, but it seems like the older the median age of the church members the more this song ended up being sung on Sundays. One a side note, the notes that accompany the words “never grow ooooooold” seem to have intentionally been written to be screeched instead of sung. This song has a lot of nostalgia for me because it was so often rolled out during the missions conferences my family attended. If it stinks just eat it anyway! Chew until you kill it!